Description - Be cold no more in your home with Phenix Extra Innings carpet. 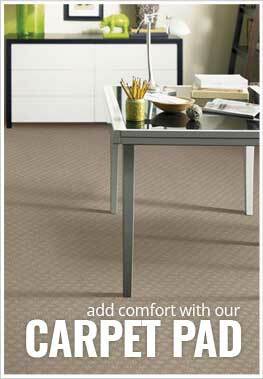 This broadloom carpet is stain, soil and fade resistant making it great for any room in your home. Soft and durable, this carpet is very easy to clean and maintain and is available in several neutral tones that are certain to accent any room's décor. Backed by a lifetime warranty, Phenix Extra Innings carpet is certain to look beautiful for many years to come. Material - 100% Solution Dyed PET Polyester. Face Weight - 25 oz./sq.yd. Recommended Uses - Phenix Extra Innings carpet is great for any room in your home and is commonly found as flooring in bedrooms, basements, living rooms, family rooms, dining rooms, as home office flooring, as spare room flooring, in dens and much more. Installation of carpet can be a tricky matter, but here at we work to make it easy. Below are instructions for the most common methods of installing carpeting. Stain, soil and fade resistant. Great as bedroom or living room carpet. With 50 years of proven innovation, Scotchgard works hard to make sure you are ready for every situation: rain, mud, snow, dogs, kids, and guests. Your new flooring will remain looking as good as new and it will last even longer with Scotchgard Protector technology. By choosing a carpet with Scotchgard™ Protector incorporated, you can rest assured that the living and cleaning will be easy, since the fibers are protected and designed to repel soil and dirt for guaranteed easy removal.